Troubleshooting Naps: What Would the Sleep Coach Do? I know you’re probably thinking that my children are perfect sleepers. The reality is they were not born great sleepers. In fact, I work every day on making their (and my) sleep the number 1 priority. I do this because I know it affects all aspects of our lives: our health, energy, happiness, growth. She has a cold. Her nose is snotty, her eyes are puffy, and she’s a little irritable. Most children sleep longer when they’re sick, but many children are just too uncomfortable to soothe. She slept longer in the morning. I let her sleep until 7:30 because I knew she was sick and needed healing time. Her normal wake time ranges from 6:30-7 am very consistently. So, that extra 30 minutes in the morning MAY have been just enough to give her a little extra charge. I’ve seen many cases where a toddler refuses their nap simply because they are sleeping an extra 30 minutes or so past the normal wake time. Sit in our comfy chair and read 2 books. Lay her in bed awake with her loveys and a stuffed Olaf. *This is where I think my sweet 2-year-old became overstimulated. She has developed a HUGE obsession with Minnie Mouse. 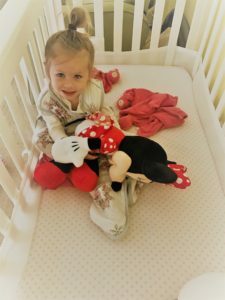 I thought it would be nice to have Minnie Mouse sleep with her in her bed. After all, she’s well over the age where objects in the crib would pose her a suffocation risk. I left her in her crib for a full hour (the hour rule). 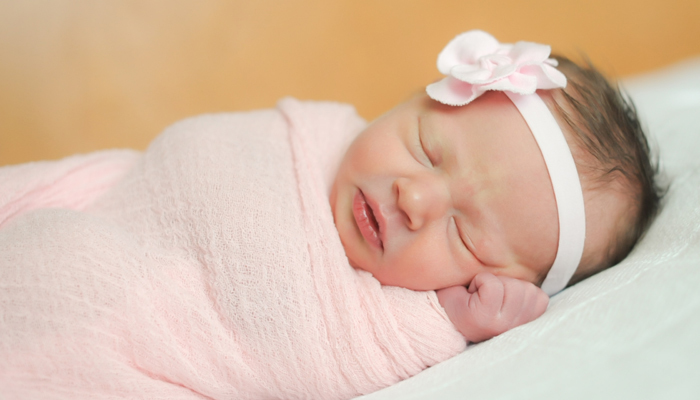 During this time, she never cried, as she’s come to know her crib as a happy, peaceful place. However, I did hear her squealing about Minnie’s shoes and happily giggling. They were wonderful noises but definitely not sleeping noises. While I was disappointed my serial napper didn’t nap yesterday, I wasn’t discouraged. I put her to bed a little earlier and made sure she woke up at a decent time this morning. Her cold is improving and I know she needs extra sleep to fully recover. I told her we were going to keep Minnie Mouse downstairs and lo and behold, we returned to napping today. 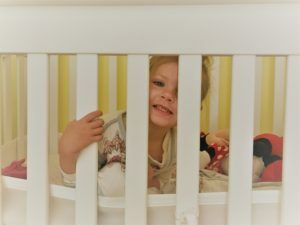 There are many reasons a toddler or preschooler may refuse their nap. My job as a sleep consultant is to examine all angles of their sleep so that they can return to quality, consolidated sleep…and that their parents don’t lose their mind in the meantime.